ANNAPOLIS, Maryland (IDN) - For abolishing nuclear weapons, a major obstacle is presumed to be Israel. If it is posited (as I submit it should be) that a nuclear ban treaty [convention] would require accession by all states before entry into force, then let it be further assumed that all states have joined a nuclear ban -- except Israel. First, Israel would have the deserved satisfaction of being a profound benefactor to humanity in this important realm of nuclear weapons elimination, because Israel's accession (along with that of all other states) would be necessary for treaty entry into force. Second, in a nuclear weapons-free world -- which Israel and all states have voluntarily instrumented -- Israel would relinquish the moral burden of possessing and possibly using the ultimate weapon of mass destruction. 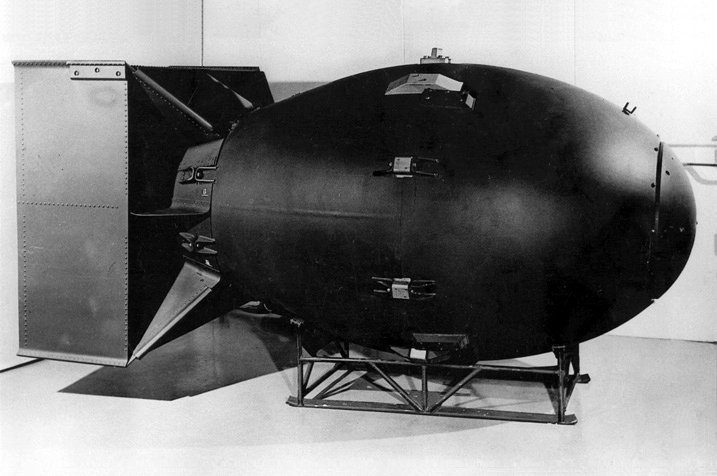 All the nuclear powers would claim, though, that their nuclear possession is not "immoral"; but the possible use of nuclear weapons (a conceptual pre-condition for "deterrence") does by any reasonable light have a morally treacherous aspect because of the tremendously indiscriminate effects of nuclear weapons (blast, heat, firestorm, radiation). Under a worldwide nuclear ban, Israel and the other nuclear powers would voluntarily forego the possibility of using the ultimate weapons of mass destruction against fellow human beings. Fourth, under a nuclear ban Israel would no longer be vulnerable to possible terrorist use of nuclear weapons. Obviously, with states having dismantled their nuclear weapons, there would be none that a terrorist gang could acquire by theft, purchase, or other means. The other path to terrorist nuclear attainment would be fabrication (with mere assistance from a rogue physicist and a few technicians) of a relatively simple, uranium-based "gun-type" nuclear weapon -- which if detonated in air over a city would likely kill some 100,000 people and injure many more. But this path to terrorist weapon possession and use against Israel or any state could be cut off by a nuclear ban provision requiring cessation of uranium enrichment to 20 percent or greater (in isotope uranium-235), and blending-down of current stocks of highly-enriched uranium to low-enriched. Thereby, with no potentially vulnerable arsenals of states and with no highly-enriched uranium stocks vulnerable to possible terrorist acquisition and use (and with plutonium being unsuited for a relatively simply-constructed gun-type weapon), terrorists would be stymied at every turn in a quest for nuclear weapons. Fifth, Israel’s vulnerability to state or terrorist attack with chemical or biological (chem-bio) weapons would be, respectively, virtually eliminated and reduced -- if the nuclear ban requires prior accession by states to the current chem-bio bans (CWC and BWC) before signing the nuclear ban, and with the latter as noted requiring unanimity of accession by states before entry into force. With this unanimity of states' accession to the CWC and BWC (which most states have already joined) as a feature of a nuclear-weapons free world, any violation of any of the three agreements by a state would be extremely unlikely, in part due to foresight of the massive negative world reaction. Regarding non-state actors (terrorists), their potential access to "ingredients" of chem-bio weapons would be curtailed by the normative force and legal strictures on states of the CWC and BWC. To summarize, with reference to Israel but also applicable to all states: the most important reasons for Israel to seriously consider joining a prospective worldwide nuclear ban are to eliminate the future threat (or perceived future threat) of nuclear attack by a state against Israel, and to virtually eliminate the terrorist nuclear threat (with blending-down of highly enriched uranium to low-enriched, plus elimination of states’ potentially vulnerable arsenals), and reduce to asymptotically near-zero any chem-bio threat from other states -- with all being subject to the unprecedented geopolitical and other impact of a CWC and BWC that all states join, as a prerequisite to signing the nuclear ban and before nuclear ban entry into force.